Trying out new scents is something I love doing, and gradually I'm moving away from my obsession with super sweet fruity scents to things that are a little more subtle. Does that mean I'm getting old now? I mean, I still love the fruity stuff (nothing beats LUSH's Snow Fairy scent let's face it), but I'm gradually incorporating lavender and hints of rose into my favourite scent range. Okay, it's official, turning 23 has ripened my nose. 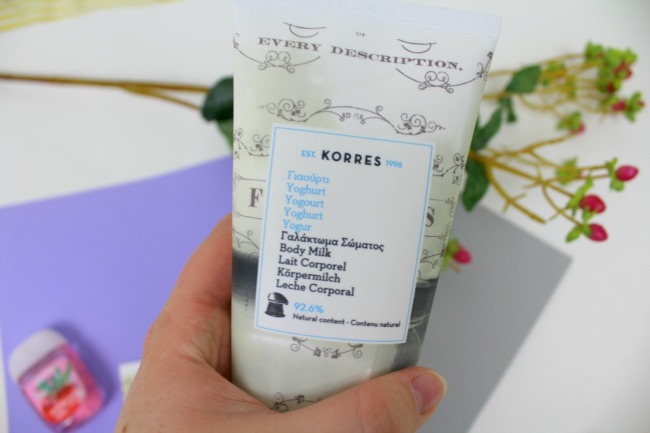 So, when Korres kindly offered to let me try their new yogurt range I was desperate to give it a go. I was a little disappointed to discover that it doesn't actually contain yogurt, as I thought that could be pretty moisturising for your skin. But, when I really thought about it, imagine how weird and ripe you would smell a couple of hours in to the day after using it. Grim. 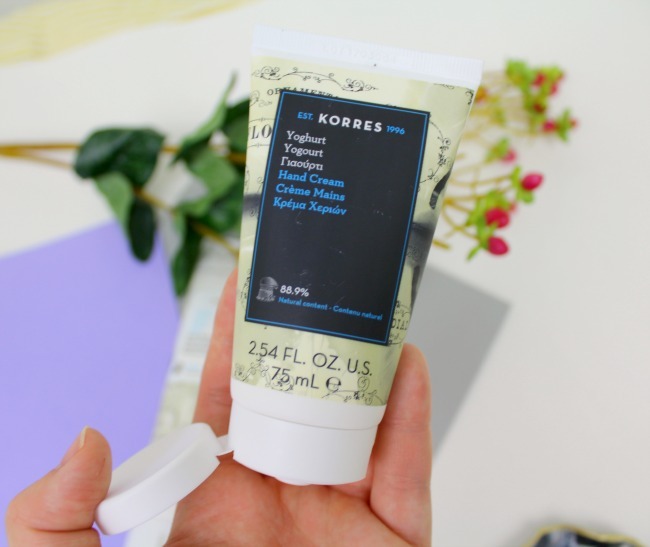 The yogurt hand cream* is definitely my favourite of the range. My hands have been really dry this month - I think they know that Autumn and wind chapped life is on its way - and my other hand creams just haven't been nourishing enough. This is really thick and sinks in nicely without staying on my hands for eons. It's helped to keep the backs of my hands soft, and it's taken pride of place on my desk for regular top-ups. Moisturising my body is part of my daily self care routine. It gives me the opportunity to take a few minutes out of my day to really focus on taking care of my body. The yogurt body milk* and body butter* are both quite intense in terms of rehydrating your skin. I notice a definite difference on the days on which I don't use either. The body milk is my firm favourite over the butter. It blends into my skin nicely without me having to pay too much attention to it. My skin just isn't dry enough to really warrant using the body butter, and I've found it's quite hard to rub in. But, for the dry skin on my elbows it's pretty fab. And finally the scent. It's a weird one I won't lie. It's not strong or unpleasant, but it's not something that I would really choose for myself. I mean, they've captured the essence of what yogurt smells like, which is cool, but I'd much rather smell like some of their floral scents as I think they do these really well. 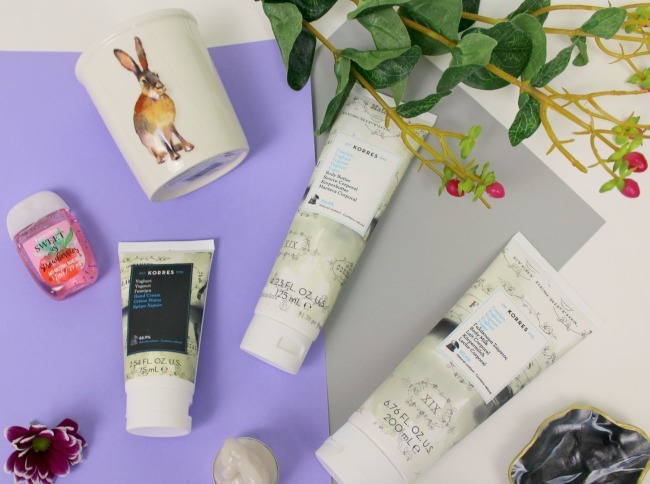 The range is fab for dry skin! Ooooh really? I've never tried that, but it sounds like a good idea!